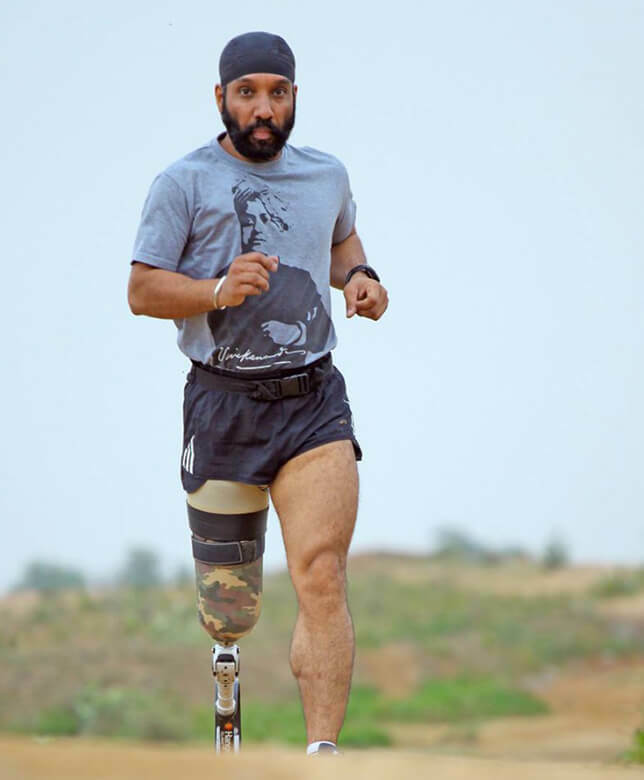 After being injured in the Kargil war with little hope of survival, Major Singh not only defeated death but also tasted victory when he became India’s first blade runner. Because of his sheer grit and determination, he has run numerous marathons and won many accolades. In his talks, he speaks about the grave challenges he faced after coming to terms with a lost limb and how he overcame them in his path to success. His never-say-die attitude and love of life inspires and motivates the audience to follow their passion and achieve their goals despite all odds. A change maker and internationally acclaimed motivational and TEDx speaker, Major Singh has till date successfully completed 26 half marathons, which include three half marathons in extreme conditions at altitudes of 12,000 feet. He has featured in the Limca Book of Records four times besides being honoured by the Canadian government and conferred with the prestigious REX Karamveer Global Fellowship. In 2011, he started “The Challenging Ones”, a group formed with the aim to help switch the attitude of the challenged to become the challengers. In just five years, this group has been able to bring about a significant change in the perception of our society towards differently abled persons. In 2018, he was awarded the National Award by the Government of India in the Role Model category, and was also chosen as the Brand Ambassador of Indian Army. He was also awarded the CavinKare Ability Award in 2019. On 28th Mar 2019, he wrote another chapter of Indian history when he successfully landed back from sky after the maiden Skydiving attempt from 8500 ft by any person with disabilities in India. Major Singh believes in "let's lead the change instead of waiting for others to take lead" and was personally chosen by the Defense Minister of India to be part of the committee to initiate reforms for the Armed Forces Personnel.